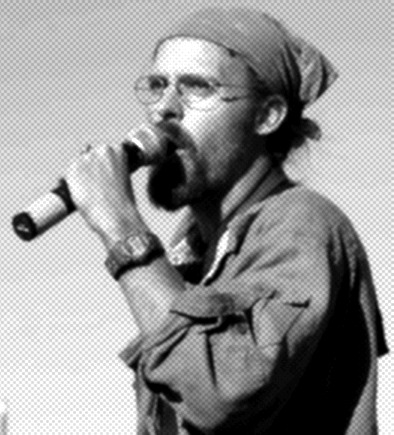 Erik Ohlsen is an Ecological/Permaculture designer, practitioner, and teacher. He is a co-founder of the RITES Project (Return Intentions Toward Ecological Sustainability), Green Bloc Sonoma County, and Adopt-an-Activist. He also runs his own business to offer services in ecological design & landscaping, Permaculture trainings, and consultation for neighborhood/community emergency preparedness. (i.e. Peak Oil, Global Climate change). I met Erik at a permaculture and magic course I went to in Sonoma County, California, called Earth Activist Training. I highly recommend checking it out, it was an amazing experience that fuels me with inspiration to this day. In our interview, Erik explains what permaculture is, and why it is so important in a time where industrial civilization is collapsing. We delve into the mysteries of spirals, the ability of mushrooms to heal the earth, how to reverse desertification, and the potential for us to create cultures of abundance by working with the earth. Most permaculture courses are really expensive, which is a shame, because the people who need these skills the most are those with the least money. Regardless, if you can somehow afford to go to a course, I doubt you will regret it. Either way, the field known as permaculture contains skills and insights that will prove to be crucial to our surviving civilization's collapse. There do exist resources on the internet, and there are many excellent books that are available at your local library. And it's important to keep in mind that the best permaculturists are the indigenous cultures the world over. Permaculture is really just a fancy name for ancient knowledge that is being adapted to a whole new set of circumstances. A great resource for learning more about permaculture is The Permaculture Activist, and they have a section where you can view information on available books. Also highly recommended is the Rhizome Collective, a radical ecological community centre and urban permaculture training site.